Create a professional and organized look for easy and quick file identification. Permanent labels are archival-safe and acid-free. Use with inkjet or laser printers. 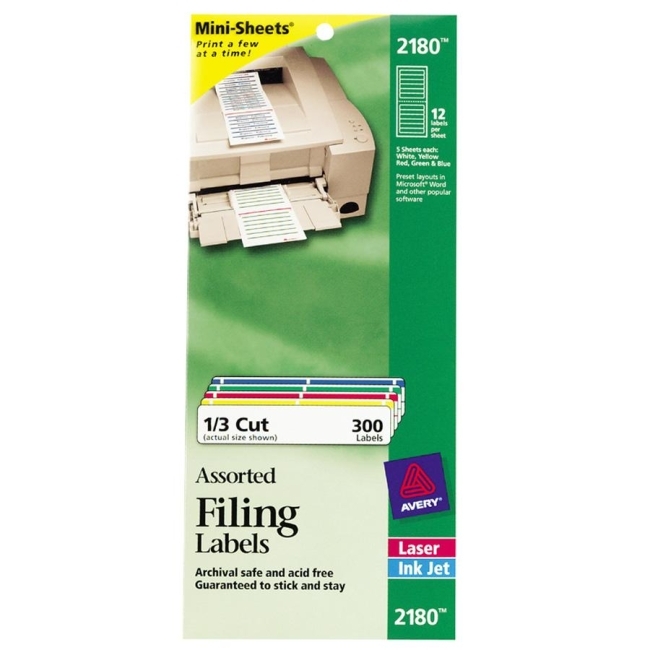 Labels are sized for 1/3-cut file folders.